After pulling the heartstrings of their customers, Jollibee’s 2017 “Valentine’s Joy for the Heartbroken” series garnered recognition from marketing communicators from Asia-Pacific. The beloved brand, together with creative agency McCann Worldgroup Philippines, won a total of seven trophies from the recently-concluded 2018 APAC Effie Awards 2018 held in Singapore, consisting of pair of Gold awards in the Asia Pacific Brands Category and Social Media Marketing Category, a Silver in the Restaurants Category, and a pair of Bronze awards in the Seasonal Marketing Category and Small Budget – Products Category. 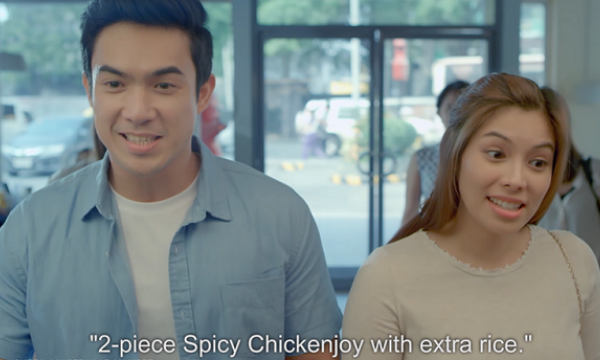 Jollibee dominated social media after releasing “Vow”, “Crush” and “Date” – a trilogy of tear-jerking episodes, sending shockwaves to the digital marketing landscape and kickstarted a range of reaction videos online. The videos reportedly acquired almost 662,000 mentions and roughly 52 million impressions. Year-long, the three Valentines episodes collectively reached 48.3 million Facebook and YouTube views. “We consider our latest achievement from no less than the Effie Awards very significant as it is not only a testament of how truly effective our campaign was, but also how Filipino brands can hold its own even against the best marketing campaigns from other parts of the world. It is a victory that we share with the whole JFC family and with our fellow Filipinos,” Jollibee Brand Chief Marketing Officer and Philippines Marketing head Francis Flores said in an interview with Business Mirror. Jollibee and Jollibee Foods Corporation also won Brand of the Year (2nd Place) and Marketer of the Year (3rd Place), respectively – enjoying the distinction of being the only Philippine company to receive the award-giving body’s Gold and Brand of the Year honors. Recognized by advertisers and agencies as the gold standard of global marketing effectiveness, the APAC Effie Awards honors the region’s most outstanding marketing communications. “Winning an Effie Award remains a tremendous accolade, especially in today’s challenging marketing landscape. I am honoured to congratulate all of our winners. We saw greater participation from developing markets and as a result, many are being recognized as awardees and finalists,” said Charles Cadell, Chairman of the 2018 APAC Effie Awards.